Even though the internet has been with us for some time now, modern technology, its capabilities and the way we engage with it is rapidly and constantly evolving. In many ways, most of us are still learning how to share and be online safely and appropriately. One recent parenting trend is using the power of the internet and social media to shame children for behaviour deemed shame-worthy by their parents. 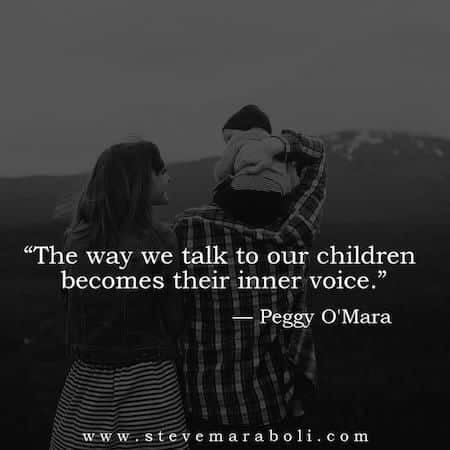 While this may seem like an innocent enough folly, it can actually be quite damaging to our kids and our relationship with them. There are countless examples of kid-shaming posts going viral on social media. From squabbling siblings forced to wear ‘get along’ t-shirts, to children forced to wear sandwich boards detailing their misdemeanours and videos of parents punishing their kids. Parenting isn’t easy, and many parents find themselves wondering what on earth they can do to encourage their kids to behave appropriately. Internet shaming isn’t the answer, however, and could even have the opposite effect as children become isolated and less trusting of their caregivers. Most parents are dead against bullying at school, and worry that their children will be bullied. Many parents know first-hand just how cruel those playground taunts can be, and how much they can affect your confidence. Even as an adult, you never forget that one kid, and what he or she said or did. But for some children, bullying doesn’t happen during school hours. It happens at home. Shaming your children is a form of bullying. It’s really that simple. Yes, your child may have made a bad choice or done something unacceptable, but this isn’t the sum of your child. You know that. You know that while she may have done something you don’t like, it doesn’t mean she’s ‘bad’. She’s just learning and we all make mistakes. It’s important that your child knows this. If you publicly shame your child, especially if that post goes viral, then this will become something that defines your child. Friends, family members and total strangers will remember your child be this one mistake. 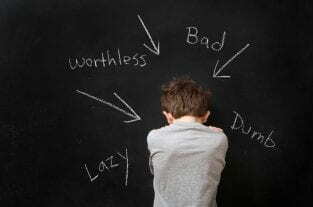 All this sends the message that your child is this one mistake, which can end becoming a source of deep seated emotional and psychological issues down the track. Children don’t have the mental maturity to process like adults do. What they make of this situation will be far from what you think. Authoritarian parenting has long term consequences for children. We all make mistakes, no matter how old we are. You’ve probably made mistakes at works over the past few years, but luckily your boss hasn’t shared this with everyone on the internet. People mess up. Kids mess up; it’s part of life. What’s important is what comes next. Your child needs to be able to trust you, to know that you love her unconditionally, and to know that she can come to you with any problem for help. By shaming your child, you’re burning that bridge. Your child simply isn’t going to seek you out for help, support and guidance again for fear or publicly humiliated. Once the person who is supposed to love and nurture them the most breaks their trust, can you see how this might manifest in their future relationships with others? No child should grow up having to recover from their childhood. All parents are guilty of overreacting in the heat of the moment. Even the calmest, most composed parent has done or said things they regret. Unkind words or overly harsh punishments are something that many parents regret late at night when sleep escapes them. It is important to set boundaries for your child, and to point out when they have done something unacceptable. But publicly shaming your child on the internet is not the answer. Quite simply put, it’s a massive overreaction. The punishment simply does not match the crime. Whatever your child has done, public shaming is not a measured or appropriate punishment. When your child does something you perceive to be wrong, there is an opportunity to work together to find a solution. By handling the incident appropriately, you can teach your child a valuable lesson. Not only in how to problem solve, but also into why the behaviour was wrong in the first place. You can encourage your child to think about how her actions hurt others, and to consider the real consequences of those actions. By publicly shaming your child, you are not only skipping these lessons but you’re also teaching a very bad one – that if someone doesn’t do what you want, it’s ok to bully and shame them for it. Just as you revel in your child’s successes, you must also support her through her less glorious achievements. As a parent and child, you are a team. It may not always feel like that, especially when you’re in the midst of the teenage years, but you should always be on your child’s side. That doesn’t mean ignoring bad behaviour, far from it. In fact, it means working with your child to avoid less desirable behaviour in the future. When you publicly shame your child, you are not working on the same team. In fact, you’re publicly distancing yourself from your child. You’re pointing your finger at your child and telling the world that they are bad. Shame and guilt are two similar but very different emotions. Guilt is important because it reminds us of times we have made a bad choice, and encourages us to make better choices in the future. We feel guilt about specific events, but not about who we are as people. Shame is pervasive. It doesn’t stay linked to one incident, instead it leaches out and colours how we see ourselves as individuals. Allowing (not making) your child to feel guilty about something is ok, it’s a natural emotion that has an important role to play in their development. Shame doesn’t. Shame teaches your children that they are bad, not that they did a bad thing. See the difference? Feelings of shame have been linked with depression and addiction, and encourages feelings of self-worthlessness. Remember that awfully embarrassing thing that happened to you at high school? The thing you never quite lived down? The thing that haunted you right up until you upped sticks and set off for university in a new city? It probably doesn’t bother you so much anymore, because it’s in the past and it’s something only people from your past know about. Kids these days will never be that lucky. Ever screw up, every humiliation and every cringe-inducing loved up Instagram comment to Justin Bieber is sealed on the internet forever. Even if you delete something, it could still exist as a screen grab or in a web archive somewhere. Embarrassing your child on social media may seem hilarious today, but will it be funny when potential future employers Google her before interviews? Will it be funny when anyone she ever meets can find out her shameful secrets of the past? Will it be funny that you took her mistake and made it something to be laughed at and ridiculed? You can kid yourself into believing that you’re ‘doing it for their own good’. That sharing a photo of your child holding a piece of paper detailing all her bad choices on social media was your way of ‘parenting effectively’. But it’s not. You’re doing it for the ‘likes’ or to try and win supporters to prove you did a good thing. And isn’t that a sad way to make your parenting decisions? You want people to think you’re an awesome parent even when your child has made a bad choice, and so you publicly reprimand them for that choice. But who cares what those people through the screen think? Your child’s view of you should be much more important than that. Consider your own childhood – how did your parents deal with you? Are you repeating that pattern? If so, can you remember how awful you felt? Or do you just need to learn new tools for parenting? BellyBelly recommends Parent Effectiveness Training. In a sad turn of events, one teen recently commit suicide after her father shamed her online. Shortly after the 13-year-old girl was shamed by her father, she jumped to her death from a bridge in Tacoma. Could you live with yourself if this happened to your child? Is it worth the risk? Amazing article and a great resource I’ll send people when they ask why we are a no shame household. Look at our youth today….. they display such horrible behavior and its “Gentle Parenting” that is to blame. When we were young we would have never acted the way kids do now because we knew that the punishment would be harsh. We treated people with respect and kindness, we would have never talked to any adult the way kids do now, we wouldnt be out in the middle of the night vandalizing or stealing. Public shaming for bullies and thieves is perfect. From what I can tell this current generation had no shame at all. They are the most self absorbed, worthless group. Maybe some shame and humility is EXACTLY what they need. It is very apparent Gentle Parenting does not work. It has only allowed gross disrespect and entitlement in this society. This is a society of “What can you do for ME?” But those who advocate this crap are in serious denial, especially as their kids grow and become more out of control. They have heard countless idle threats from their parent(s) and don’t believe them. That starts from an early age and that progresses to them not believing what ANY adult has to say. So thanks for instilling that in the future of society. It’s here now and it’s running wild. Old fashioned ways have always proven to be best. Coddling never has and never will. This country is all but a nation of big cry babies.